This will be my first posts for a while. 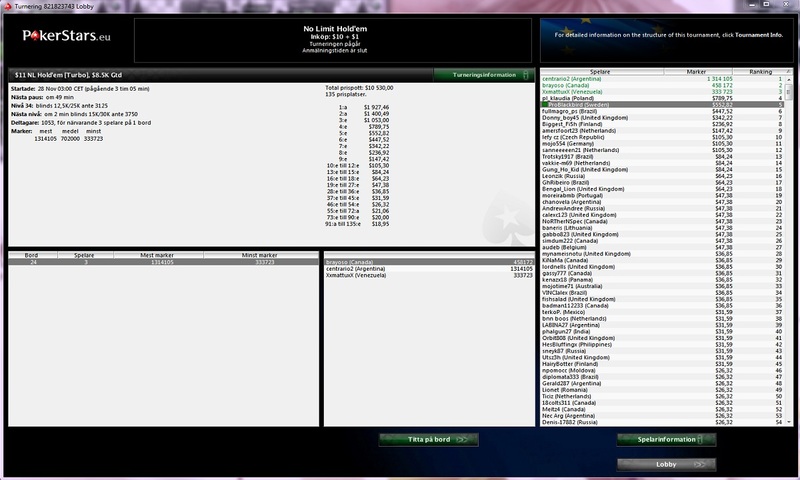 I decide to posts this article and tell you the best moment I had on Pokerstars. The best and fun moment when they running milestones I never actually hit but it was fun to grind the PLO cash game, have make some down and up swings but eventually end up losing a bit. I always want to entering big games like Sunday Million but I never had a bankroll, I felt I have done many mistakes with my bankroll. For real the best moment was Micro-Millions, cheapest league season but I’m going to try to make a roll to entering the big events like WCOOP & SCOOP. I want to entering them at least one lifetime. I probably was very stupid to not realize this mistakes, next month I got many ideas and the blogs will update regularly, not only about Poker but other personal thinks. This entry was posted in Poker and tagged 2013, Poker, Stars, WBCOOP.